According to the American Red Cross, almost half of all small businesses affected by a major disaster, such as a tornado, flood, earthquake or hurricane, do not reopen their doors because they were unprepared for the disaster. Therefore, it is necessary for business owners and managers to consider the fact that a natural disaster is possible. Ask yourself these questions: How could I continue to conduct business if the city (or even just the streets near my building) are closed off? How could I serve my customers’ needs if my facility needed to close for several months? Could my business survive if it was closed down for several weeks or months? Even if a hurricane does not put your company out of business, you may not be able to make contact with your customers or obtain important deliveries. To combat these risks, you must take the necessary steps before a disaster strikes to ensure business continuation. Check local flood maps by visiting www.esri.com/services/disaster-response/floods/latest-news-map.html Also, have your building inspected by a licensed professional to ensure that the roof and other connections comply with the wind loading requirements for your area. Gather a list of vendors and telephone numbers of individuals or entities that are critical to your daily operations. If you heavily rely on one or two vendors, consider adding a backup vendor outside of your area. Provide employees with a chain of command and list of responsibilities in the event that a disaster strikes. Prepare a list of your employees and their contact information. Also find out where they may vacate to, if you are required to evacuate the city. Arrange for communication with your clients and customers, in the event of a disaster, to keep them informed. Constantly diversify your customer base, products and sales locations. This will prevent a major loss, if a majority of your customer base is also affected by the hurricane. Designate a remote phone number on your voicemail system for which you can record messages to employees in the event of an emergency. Arrange for programmable call forwarding of your business lines with the phone company. Then you can call and reprogram your phones from a remote location, if needed. Install emergency backup lights that turn on when the power goes out. Back up your data on a frequent basis and keep this information off-site. Ready-to-eat canned foods, fruits and vegetables. Also energy foods, such as granola bars. Select foods that do not require refrigeration, cooking or preparation. Urge employees to keep a three-day supply of their medications on-hand as well as pain relievers and stomach remedies. Urge employees to bring in a blanket. Urge employees to keep an extra pair of reading glasses at work. Bolt tall bookcases and displays to the wall studs. Secure breakable items in a stand using hook-and-loop fasteners. Place large objects on low shelving. Install latches on drawers to prevent them from flying open. Secure pictures and mirrors to the wall with closed screw eyes and wire. Secure your water heater to the wall studs with plumber’s tape or strap iron. Install flexible connectors to appliances using natural gas and automatic fire sprinklers. Back up your files and move this information off-site. Make arrangements to use alternative means of communication, especially if you cannot shut down your systems completely. Check your emergency supplies and stock up on any necessary items. Help your employees get to their families safely. If it is not safe to leave the facility, establish a meeting point outside of the evacuation area for employees once you can leave. In addition to the various precautions that you should take in-house, you should also have adequate insurance coverage to protect against losses. Contact Gaspar Insurance Services to discuss your needs and review the coverages that are right for you. Beyond your typical policies, consider Flood Insurance and Business Interruption coverage policies. Also, have your business appraised every five years and provide appraisal documentation to Gaspar Insurance Services. In addition, conduct an inventory of your supplies and equipment, including photographs of these items and descriptions. Then leave this information in an off-site location. 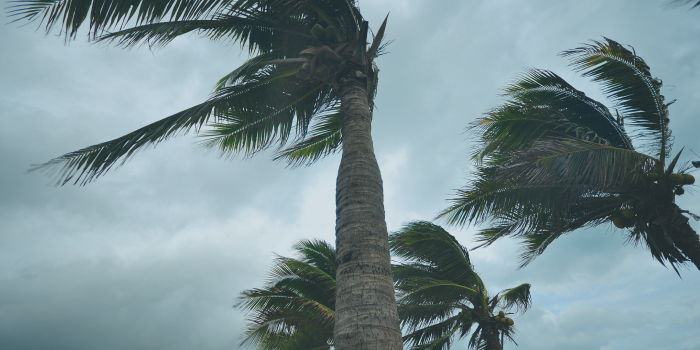 Everyone at your facility should know what to do and how to prepare for a hurricane. Contact us for all your business contingency planning and property insurance needs. Need a second look at your business insurance?